Chris Maloney looked at the young Cardinals draft pick Jay Witasick and saw a pitcher who struck out hitters, but also one ready to improve, according to The Baltimore Sun. "It's a maturing process," Maloney, who managed Witasick at high-A in 1995 told The Sun that August. "Nobody is a finished product, and that's why they are down here. Looking at his stuff, though, he has a way of missing bats. You can't discount that." Witasick matured enough to become a regular in the majors over a decade. The minor league manager Maloney eventually matured enough himself to make the bigs in 2012 as the St. Louis Cardinals' first base coach. Maloney's career in baseball began as a player, signing with the Mets in 1983 as an undrafted free agent out of Mississippi State. Maloney played four seasons, three with the Mets and one with the Cardinals. He never made it higher than single-A. He started his coaching career by 1988, serving as hitting coach at single-A Springfield and then short-season Hamilton for 1990. He got his first managerial job at rookie Johnson City in 1991, then single-A Savannah for 1993. Going into that 1993 campaign, Maloney saw good things from his club. "We've been scoring runs and playing solid defense," Maloney told The Savannah Morning News that April. "Any time you get both of those, you're going to win some games." Maloney's 1993 Savannah team went on to win the league title. Maloney moved up to AA Arkansas for 1994, moving between there, St. Petersburg and Johnson City through 2001. He then spent three seasons with the Astros at AAA New Orleans, before returning to the Cardinals for 2005. He took the helm of AAA Memphis for 2007, staying there through 2011. 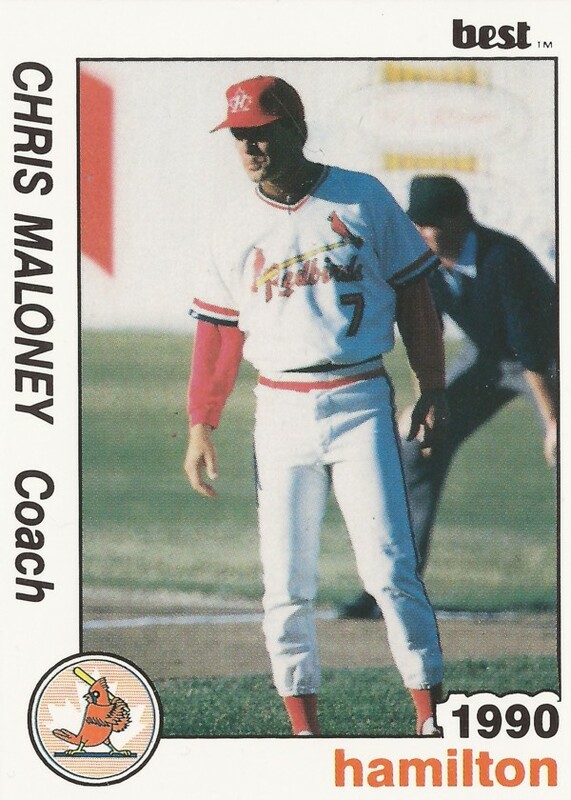 When St. Louis manager Tony LaRussa retired that year, Maloney even got an interview for the top job. "Definitely a plus in my favor is knowledge of the organization," Maloney told The St. Louis Post-Dispatch after his interview. "I've worked with most of the players on the way up, and it was a real gratifying feeling to watch players we had in Memphis contribute in the World Series. I think knowledge of the team is one thing, but so too is knowing how they like to run things, how to do things the 'Cardinal way.'" Maloney didn't get the top job, but he did get the first base coaching job. He's continuing as third base coach for the club in 2017.